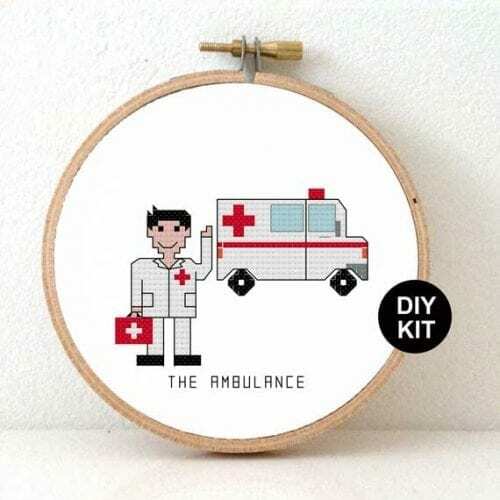 Modern embroidery kit from our modern job series. 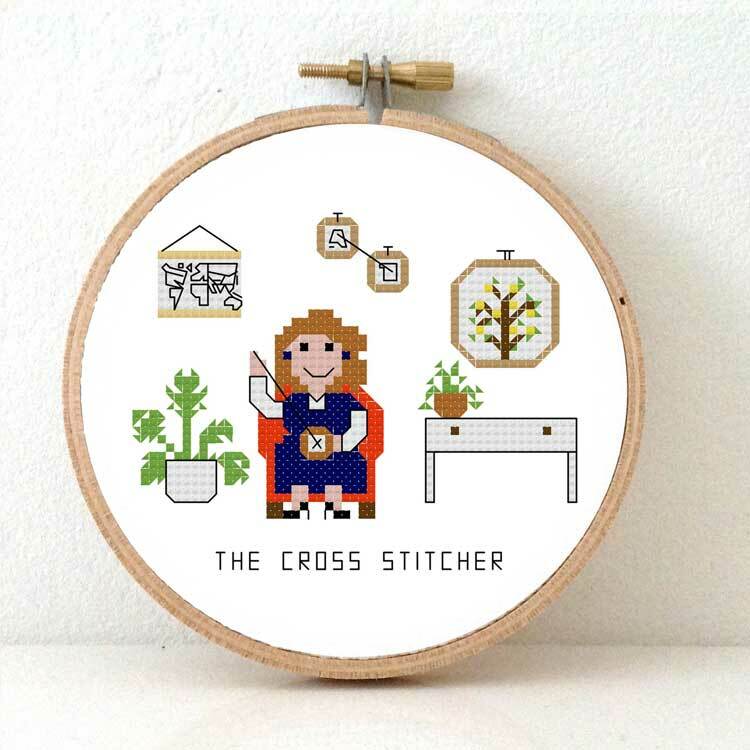 It features the Female Cross Stitcher Kit. 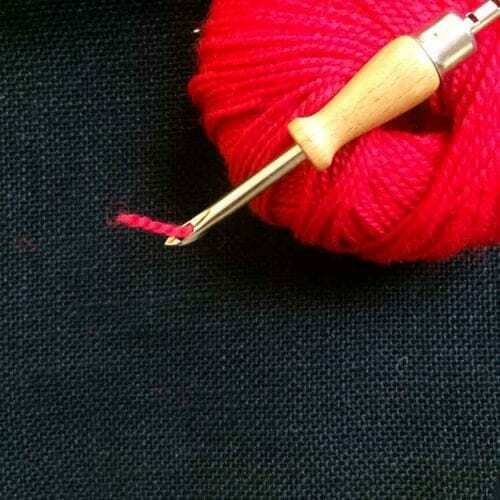 She is in the middle of a new project. 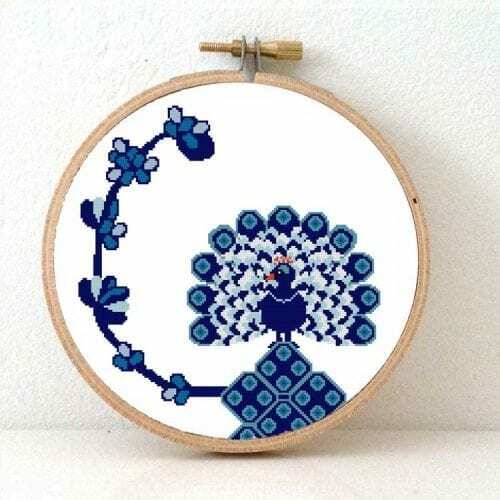 On the wall you will see a display of her earlier embroidery work.